Never run out of power! 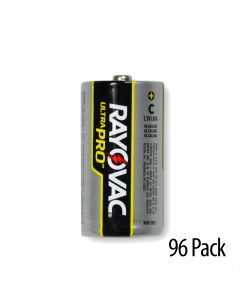 We make it easy to find the quality C batteries you need to run your business at a fraction of retail costs. 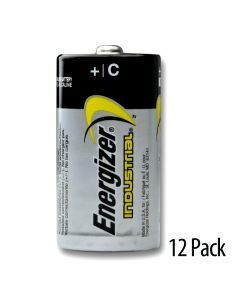 We sell the highest quality industrial C alkaline batteries in economical bulk packaging to help you save money and still get the brands you know and trust. 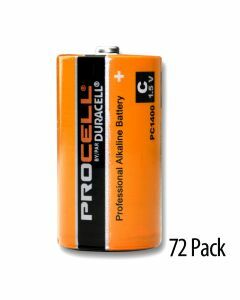 Why Buy C Batteries in Bulk? 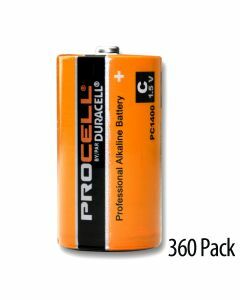 C batteries are the preferred choice of business professionals. They are ideal for organizations, agencies, fire stations and more. Plus, all of our name brand options offer outstanding performance and reliability at a price that won't break your entire budget. Most of our C bulk batteries boast a minimum 4-year shelf life to ensure you get the most cost effective solution for running your business. Shop in larger quantities for volume discounts on C bulk batteries.